Xylene is required to thin Rust Bullet rust inhibitive coatings (EXCEPT WHITESHELL). should it be necessary to do so:normally we would advise against thinning as it may reduce the effectiveness of the coating. Xylene is recommended to clean up spillages. Rust Bullet rust inhibitive industrial coatings should not normally be thinned. Xylene is the ONLY recommended solvent required to thin Rust Bullet rust inhibitive coatings if it is neceassry to do so. The maximum recommended thinning of Rust Bullet rust paint is 5%. 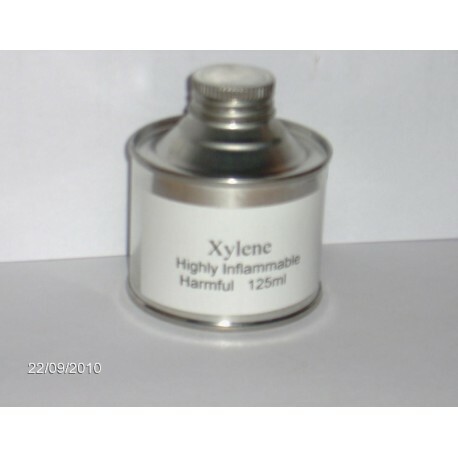 Xylene is also recommened to clean up spillages and clean brushes. DO NOT USE WITH RUST BULLET WHITESHELL!